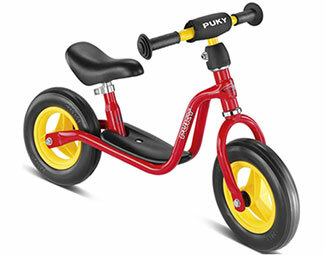 Puky Balance bikes are perfectly designed so that small children who can already sit or walk can intuitively use them to move about, develop their motor skills and start on the exciting journey of riding a bike. 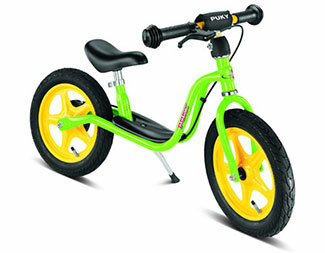 Puky balance bikes are well known for their quality and sturdiness. They’re great little bikes, very sturdy and extremely well made, and of course, very easy to ride. 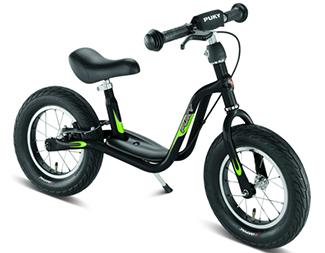 They come with soft foam tyres on the first bikes, and then pneumatic tyres on the two larger sizes, and although they have a strong construction, are very lightweight. They also have a stand on platform, so that as your child gets more confident, and finds their balance, they have somewhere to put their feet while coasting along. As well as making it more comfortable to ride, it enables the child to get use to having their feet on the bike, and we think helps with the progression to pedals. Come in and see us, we have the full range in stock and can look after your Puky or any of our children’s bikes till nearer Christmas, to suit you.